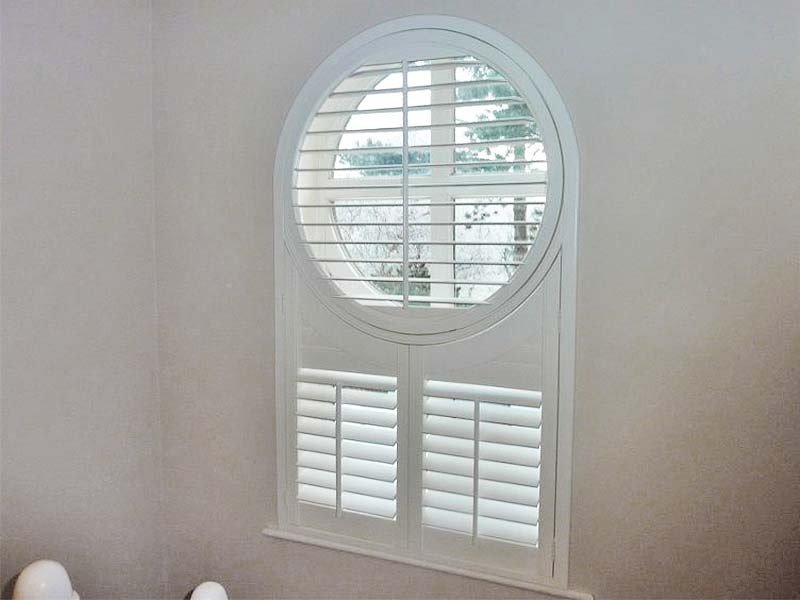 Custom Shape Shutters from Perfect Shutters are 100% made to measure to fit any size or shape window, door or room divider – they look really amazing. 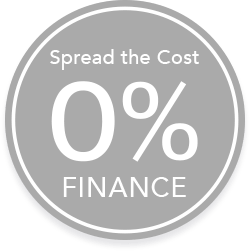 Watch our video (25 secs) to find out more. 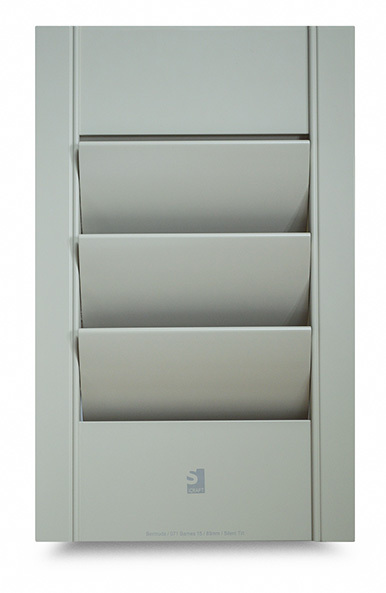 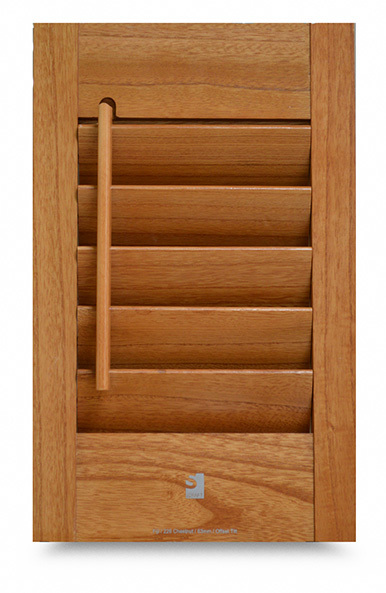 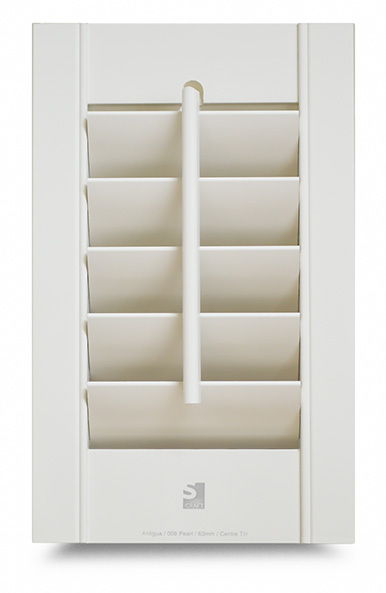 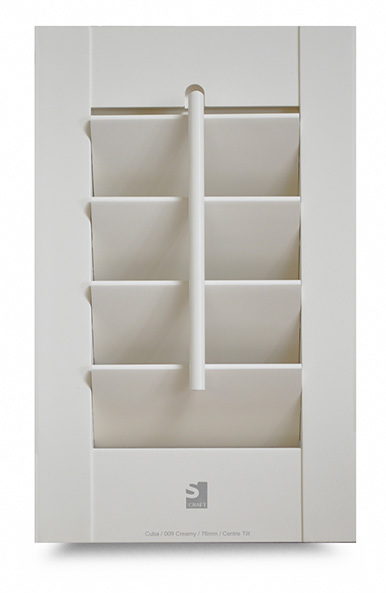 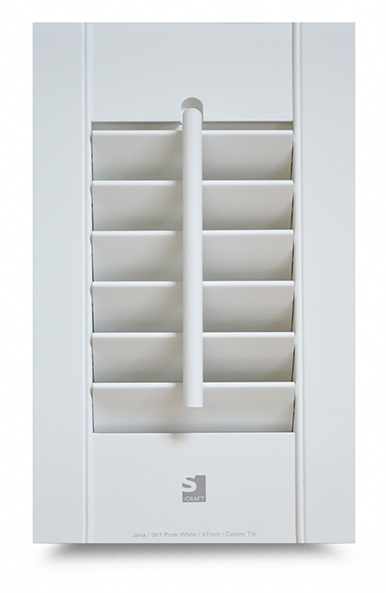 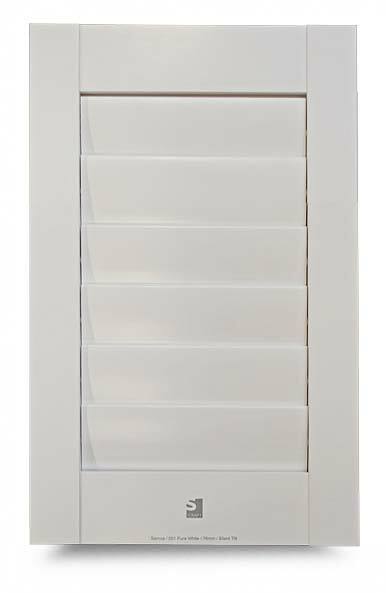 WHY CHOOSE OUR CUSTOM SHAPE WINDOW SHUTTERS? 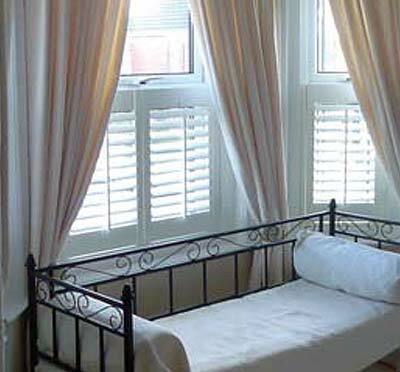 Don’t hide a beautiful feature window behind a curtain or blind! 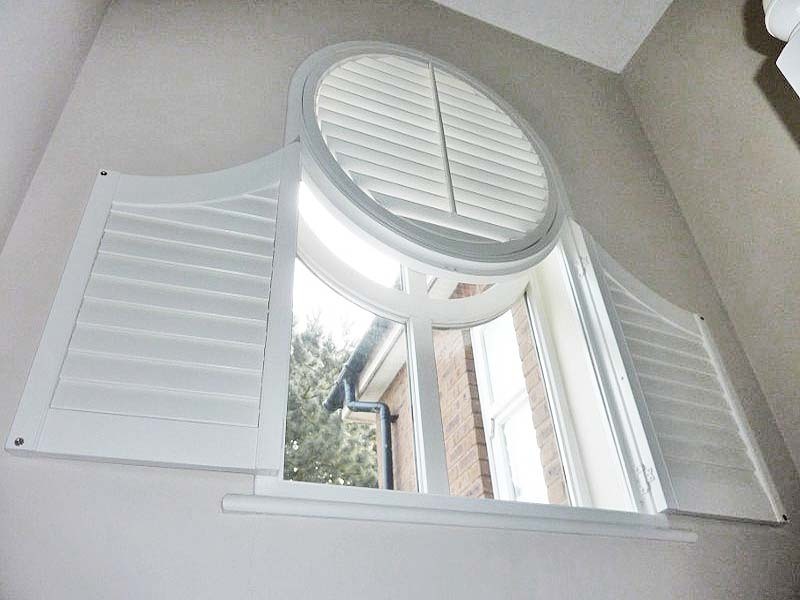 Perfect Shutters can design and manufacture “made to measure” Custom Shape Shutters that will fit exactly. 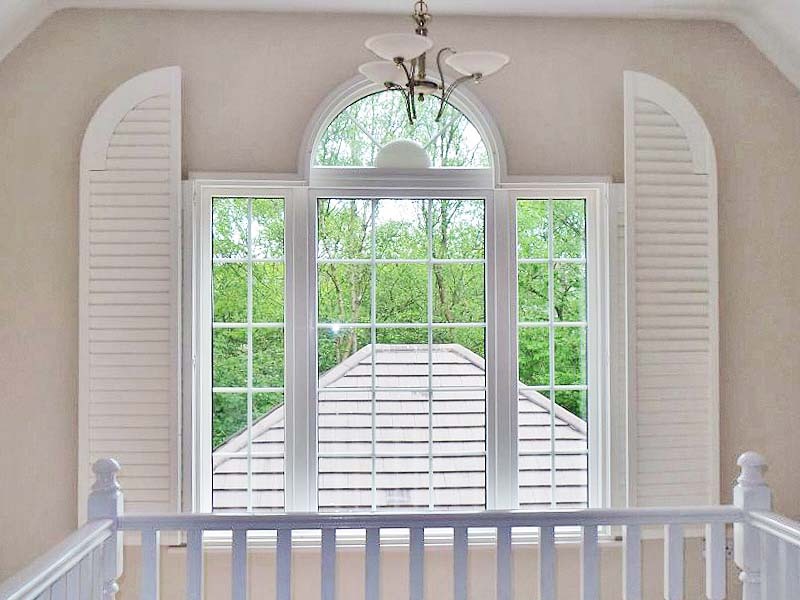 They will transform shaped windows into a magnificent feature window that will become the focal point of any room. 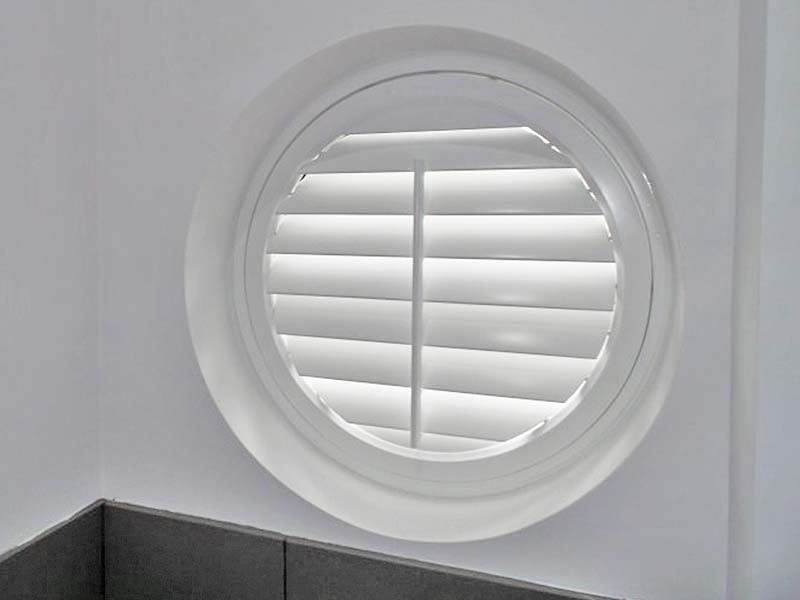 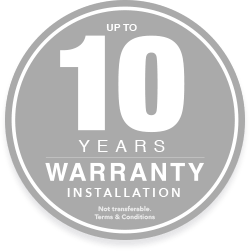 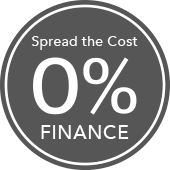 They can be made-to-measure for any shape window or door including arch, round and half-circles and many more shapes including shutters for Gable Ends. 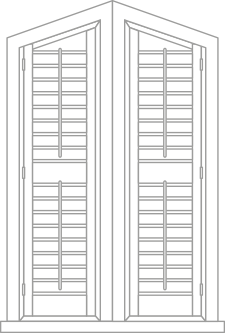 Some high windows may be difficult to reach. 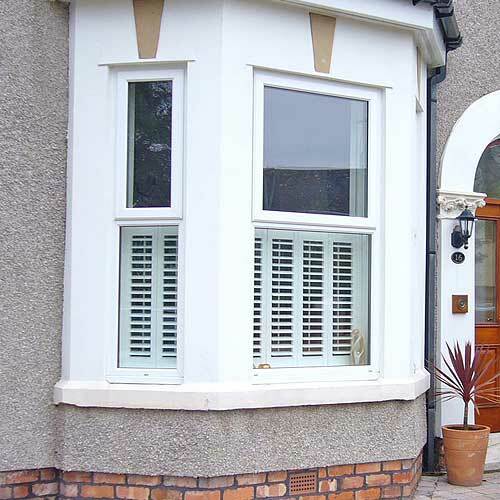 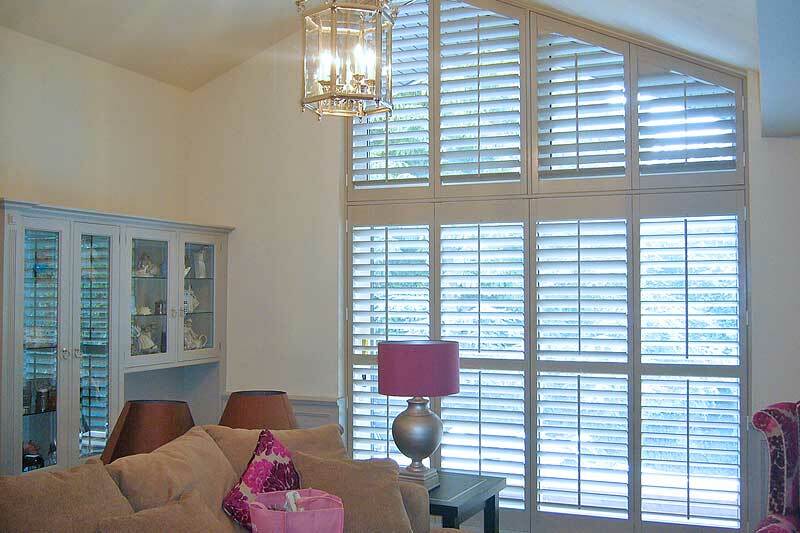 We offer a fully-extendable pole to accompany your shutters. 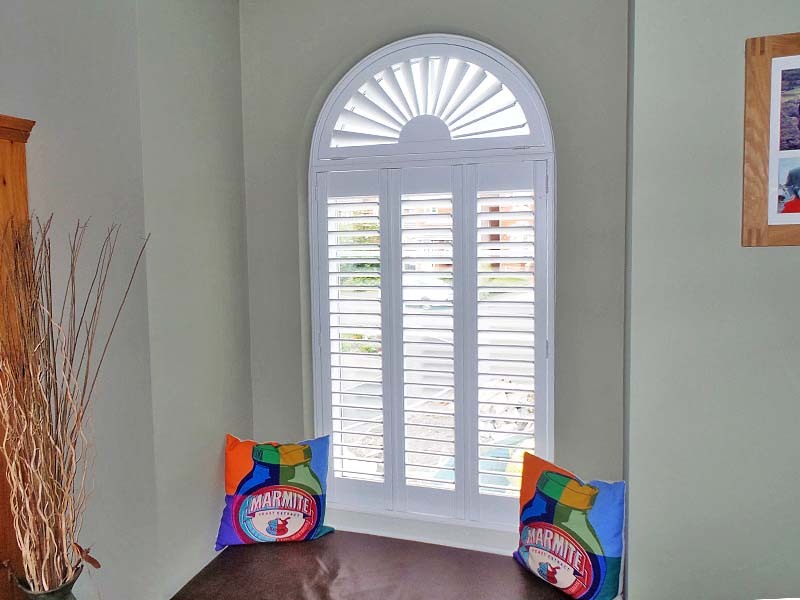 Plantation shutters go beyond just a window covering, and our Shutters can come with fold-out shutter panels allowing an unobstructed view of your feature window, with tilting, louvres to adjust the light and control and privacy while preserving style and distinction in your home. 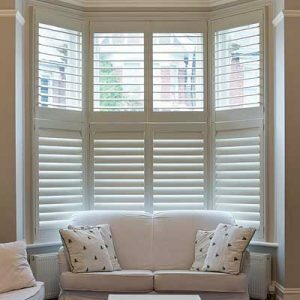 Perfect Shutters are more than a window covering Plantation Shutters offer versatile privacy and full light control, give added security, and can help insulate rooms. 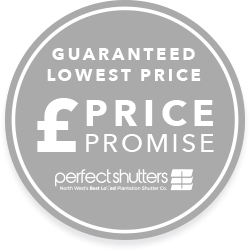 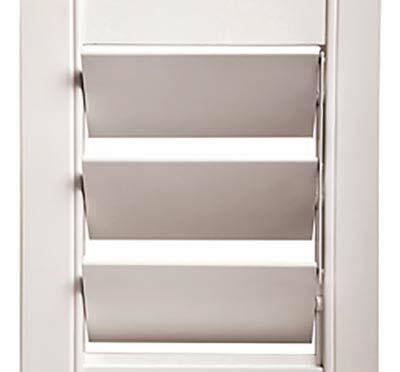 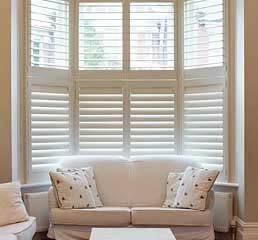 Shutter Blinds add appeal’ and financial value to a property. 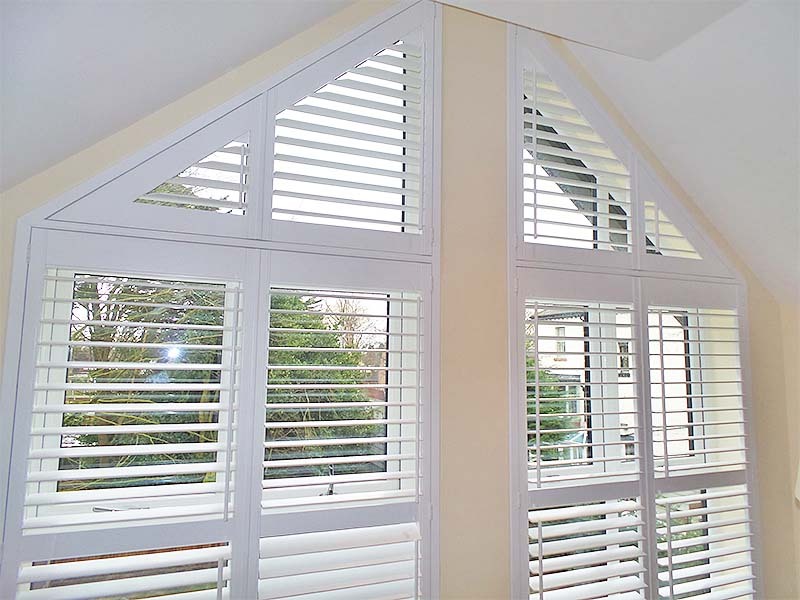 They give your window area a clean, modern look that will stay beautiful for years. 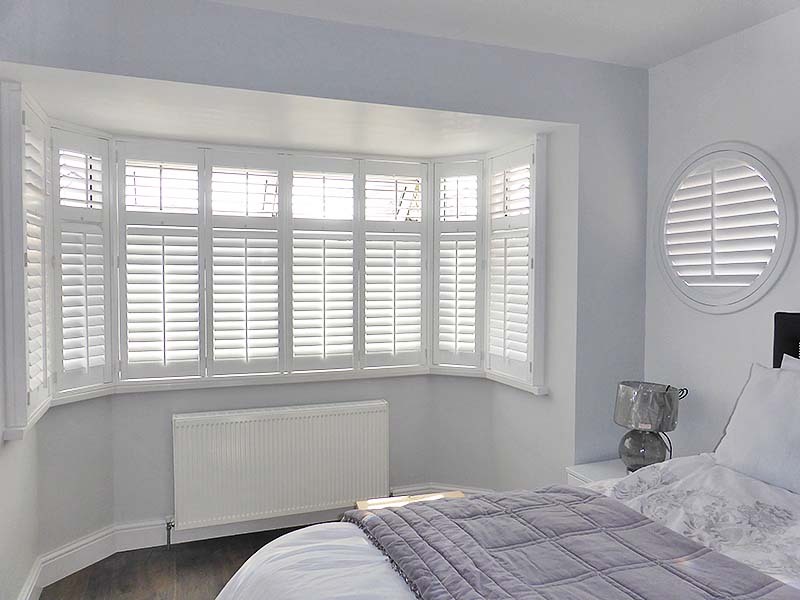 Our plantation shutters are manufactured to be durable and energy efficient, keeping rooms cooler in summer and warmer in winter.